Most of the days, you have to cook for your family, and it seems to be such a boring thing. As most of you have done, I have found cooking a boring thing, and it has been also frustrated for me to decide what to buy for next day’s dinner. However, I began to find and buy something interesting to liven up my kitchen. And there are some wonderful kitchen gadgets make my cooking much easier and even funnier. I do appreciate that. For that reason, I am dying to show you those gadgets which could brighten up your kitchen. 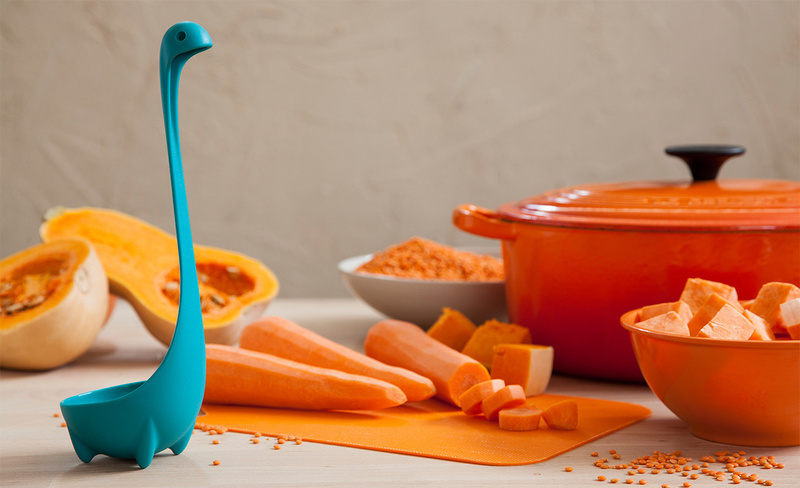 Take a look at this nessie ladle spoon, which has looooong neck and looks cute. To my big surprise, it’s such a practical spoon that could stand on the table. You just need to get one and put it into the soup. Need a timer to help you out? I got these cute kitchen timers for all of you. 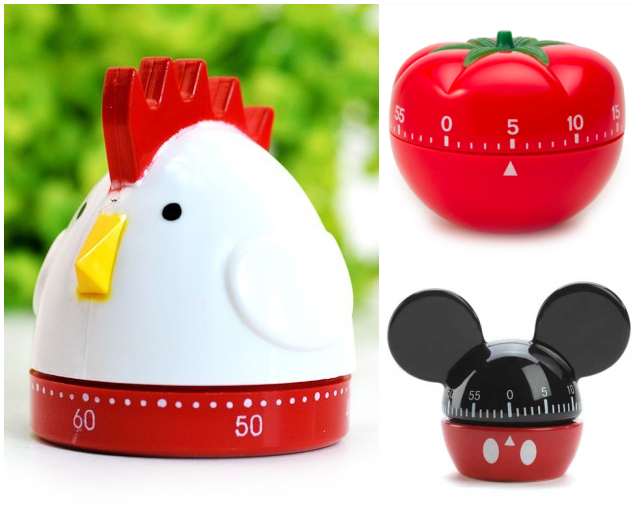 There are timers in different shapes, for example, the strawberry, chicken, tomato and even Mickey Mouse. 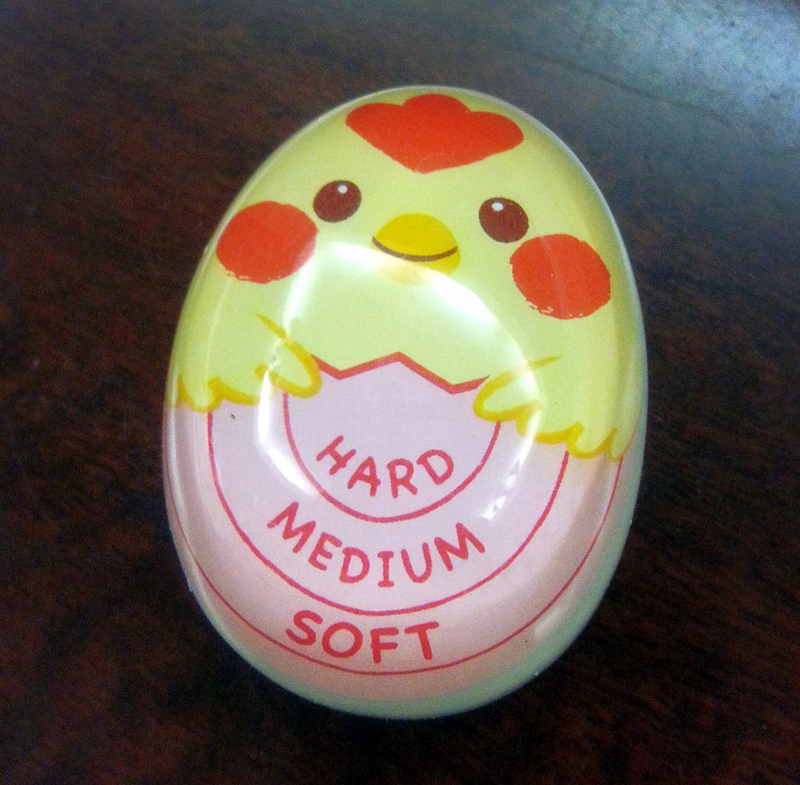 Wow, how lovely this egg. As long as you cook eggs with this one together, you could choose which kind of egg you want. I do love the soft eggs stir with sauce and pepper. Humble bee, my favorite! I love yellow, and I love humble bees in yellow and black. 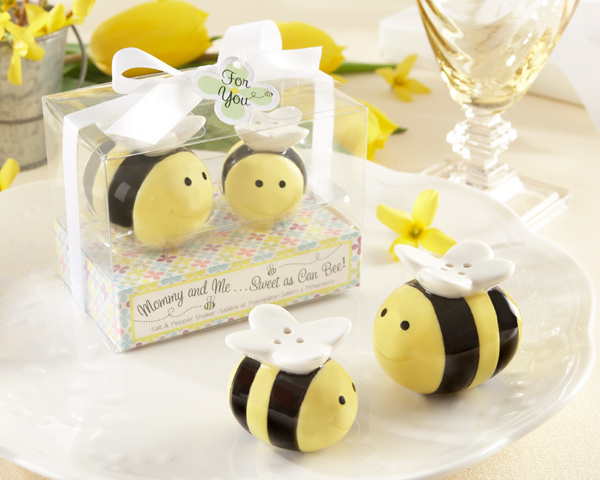 If you love the bees as much as I do, these honeybee salt & pepper shakers are exactly what you need. Love hot dog with ketchup or yummy mustard? 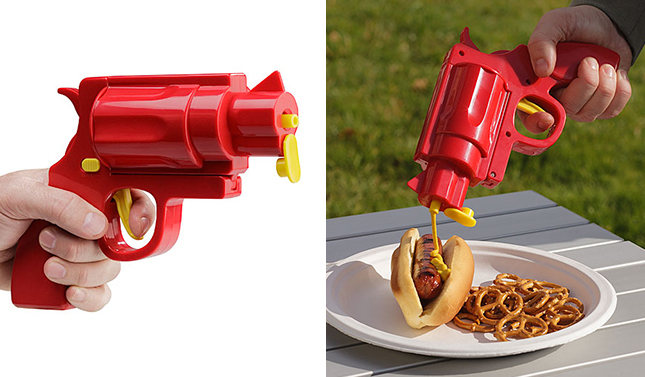 Here is the condiment gun. It seems to be very funny to use this one, and your kid might love it. But make sure your kid won’t mess things up with it.